Andy Jackson’s collection Among the regulars (papertiger media, 2010) was shortlisted for the Kenneth Slessor Prize and Highly Commended in the Anne Elder Award. His poems have recently appeared in The Best Australian Poems 2012 and 2013, Medical Journal of Australia, Australian Love Poems 2013, and Mascara Literary Review. 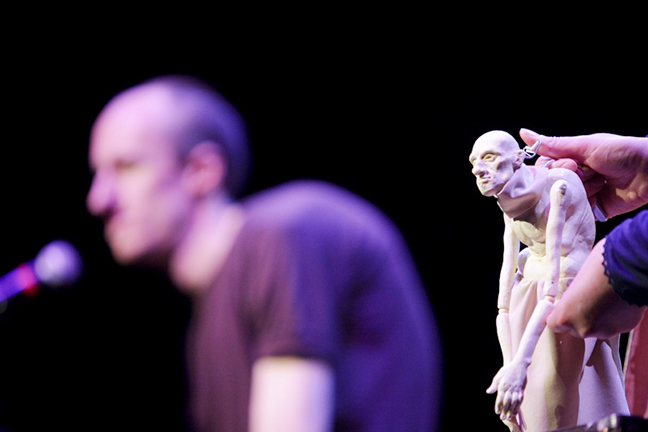 In 2009, he and performer Rachael Guy won the Most Innovative Work award at the Overload Poetry Festival for their poetry-puppetry collaboration Ambiguous Mirrors. He has performed at literary events and arts festivals in Australia, India, USA, and Ireland. Andy’s poetry has been featured in interviews, exhibitions, and broadcasts on Radio Australia, 3CR, 3RRR FM, Radio National’s Poetica, and the Melbourne Museum. He blogs about identity, embodiment, and other hard-to-pin-down things at amongtheregulars.wordpress.com. Andy Jackson is a contributor to Nerve Lantern issue 7.